A car lease swap, or transfer, is when a vehicle that is subject to an auto lease is transferred from the current driver of the car to a different driver. Along with taking on the running costs of the car, the new driver takes over the lease on the same terms as the original owner. This includes making the same monthly payment for the same remaining duration and ensuring that it is returned in an appropriate condition. There are a number of reasons that people choose to sell their lease to a new driver. 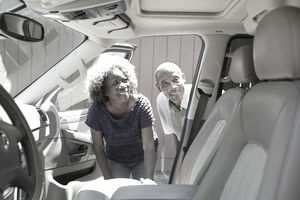 It may be that their financial situation has become more difficult and they are struggling to afford the payments; that they have had a change in family circumstances; or they simply want to buy or lease a different car. If the current owner of the lease wishes to transfer it to someone else, their first step should be to confirm with their finance company that it is possible. The seller should also check if the company charges any administration fees for transferring the lease, as many do. This can be as much as several hundred dollars. Once it is confirmed that they can swap the lease, it is then the responsibility of the owner to find someone to take it over. The simplest scenario is to find a friend or relative who is happy to take on the lease. Alternatively, if this is not possible, owners can advertise on a site such as Craigslist, or on a specialist lease swap site, of which there are several. These sites offer the advantage not only of matching up suitable buyers and sellers, but also provide tools to calculate the costs associated with the specific transfer. Looking outside your inner circle to one of these types of sites is a popular way of lease swapping. It can connect sellers to buyers with ease. When a potential buyer has been found, the finance company will run a credit check on them, and confirm that they are able to afford the monthly payments. Assuming that their credit rating is high enough, they will then be able to take over the lease on the same terms, and the same interest rate, as the person selling it. Once the buyer, the seller, and the finance company are happy with the arrangements, then the paperwork can be completed to formally transfer the lease. As part of the transfer, the new driver will be required to visit the Department of Motor Vehicles to transfer the registration to their name. Dependent on which state they reside in, they may also have to apply for a new license plate for the vehicle, as some states require each owner to have separate plates. Check your local DMV to determine your state's requirements. Once the potential new driver has found a vehicle that they are interested in, they should take a number of steps to ensure that they are not left with additional fees at the end of the lease. Most leases specify a mileage cap, which is the maximum number of miles the car can be driven during the life of the lease. This is often fairly low and, if it is exceeded, a fee is charged per mile over the limit when the lease ends. With a typical cost of 15 cents per mile, this can easily become expensive. Before taking on the lease, the new driver should check both the limit and the current mileage on the car and assess if they are likely to exceed the cap during their ownership. This can be calculated by considering factors such as distance to work, how often they visit family or friends (if they live some distance away), or if they take regular road trips. However, as many lease owners are eager to transfer the ownership lease—if the car already has high mileage—they may be willing to offer a cash incentive to help cover the cost. It is also a standard requirement that a vehicle must be returned in reasonable condition at the end of the lease. When the car is returned, it is carefully checked by the dealership, and any damage must be paid for. For this reason, anyone seeking to take on a lease needs to carefully check the condition of the vehicle to ensure that they will not find themselves having to fork out for repairs. The definition of a reasonable condition can vary, so buyers should carefully check the lease agreement before taking it over to see if it specifies any particular points. This may include, for example, no scratches above a certain size, or a minimum tread depth on the tires. While it may be easy to spot dents and scratches, other damage may not be so easy for the untrained eye to identify. It is always worth getting a trusted mechanic to check over the vehicle to make sure that it is in good structural and mechanical condition. Sometimes cars are involved in accidents and then patched up before the lease is sold on to an unsuspecting driver. It is also possible—and sensible—to purchase an independent report that will reveal if the car has ever been involved in a serious accident. Experian, the credit reference agency, operates AutoCheck, which provides such a service. As well as ensuring that the cosmetic and mechanical condition of the vehicle is of a reasonable standard, many leases require the driver to have the car maintained and serviced on a regular basis. Failure to do so may invalidate the warranty on the car. The new driver should ask for proof that the required services have been completed, particularly if the lease is being sold because the driver cannot afford the repayments. In addition to the obvious costs of the monthly payments and putting fuel in the car, there are other expenses that the potential purchaser should consider. The first is whether the state that they live in classes a lease transfer in a similar way to the sale of a physical item. Some states do, and they will apply the same sales tax rate to the swap as is they would to any other purchase. Where this applies, the figure is calculated by adding the monthly finance fee to the monthly depreciation of the vehicle, then applying the relevant tax amount to that figure, for example, a $100 monthly repayment and a $100 monthly depreciation come to $200. At a sales tax rate of 5 percent, the additional cost per month is $10. While many states charge the fee monthly, some require that full amount for the remaining life of the lease is paid at the time the lease is transferred. Insurance can be another significant cost. So that they would be able to recoup the cost of the vehicle in the event of an accident, finance companies generally require that any leased vehicle has at the very least comprehensive and collision coverage, usually with a maximum deductible of $500. The newer the car, and the greater the value of the car, the more this will cost. Furthermore, they may require the driver to also hold personal liability coverage. This is usually a minimum of $100,000 per person, $300,000 per accident, and $50,000 in the event of damage caused to property. A car lease swap is a way of being able to drive a vehicle that you may not otherwise be able to afford, with the benefits of low mileage, a warranty, and good mechanical condition. As car leases usually last between two and four years, and as it is often at around the midpoint of the lease that a swap happens, it is ideal for those who want to change their car in the near future, or get a feel for whether the car suits their needs before purchasing outright or taking out a lease on a new vehicle. Look for an offer which includes incentives (cash towards future payments). Aim for a low mileage vehicle. Get a warranty on a lease swap vehicle. The vehicle will likely be in good mechanical condition because it is newish. Take the necessary time looking for the right lease to take over. With a little effort, finding the right vehicle with all the benefits is possible. Do not take over a lease if the terms do not benefit you in some way. As long as the new driver has done their homework, there aren’t really any drawbacks to a lease swap. The purchaser gets the benefit of a nearly-new vehicle, at a good monthly cost, with the reliability that comes with owning a newer car. They may even get a cash bonus from a lease seller who is keen to pass on the liability. Overall, with the proper checks, it’s a win-win situation for the buyer and seller.